The 2019 Welsh Enduro Championship season continued over the weekend with the Jack Frost Enduro organised by the Rhayader MCC, writes Gary Jones. 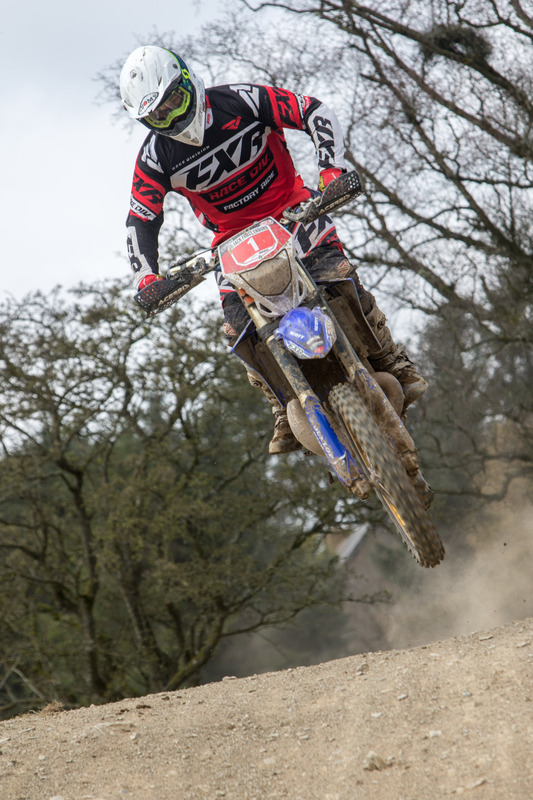 Conditions for the second round of the championship were about perfect at the start venue at the Saintswell MX track near Bwlch y Sarnau Mid Wales and attracted a full entry. The first of the championship riders left the start line at 10am and headed into the Red Lion forest for the first check before returning to the start / finish area for the timed special test which was a mixture of the MX test and some woodland as well as a stubble field. As the day progressed with further laps being completed and the day’s riding coming to an end Charlie Evans, Llanidloes, on his 250cc Yamaha again took maximum points in the championship class whilst David Herring from Neath again took second in the points on a KTM 450 with Brett Hillman, Bridgend, claiming third in the championship points riding a KTM 250. In the Expert class Jack Cadwallader of Oswestry took the maximum 20 points on a KTM 250cc whilst Shaun Buchan of Llandrindod Wells, KTM claimed the 17 points and Garin Rosser from Llanelli was just behind with 15 points for third, riding a Husqavarna 300. The Clubman class was again as competitive as ever Gareth Jones, Tregaron, took maximum points riding a Husqavarna 300, Martin Williams of Aberystwyth who took the max points on Rd1 in the Snowrun Enduro only claimed 11 points but kept him second in the championship standings riding a KTM 250. Tim Saunders from Swansea, collected 17 points moving him to third in the championship on his KTM 300. In the Over 40’s class Anthony Griffith of Clynderwen, riding a Husqavarna 300 took the max 20 points and put him 4th in the class after having claimed no points on Rd1. Paul Davies, Neath, moved up one position to lead the class on his Yamaha 250 having claimed 17 points and a max score on the Snowrun. Jason Rees from Swansea claimed 15 points keeping him second in the class riding a Husqavarna 350, and Calvin Williams, Lampeter, stays third in the class riding a Beta 200. 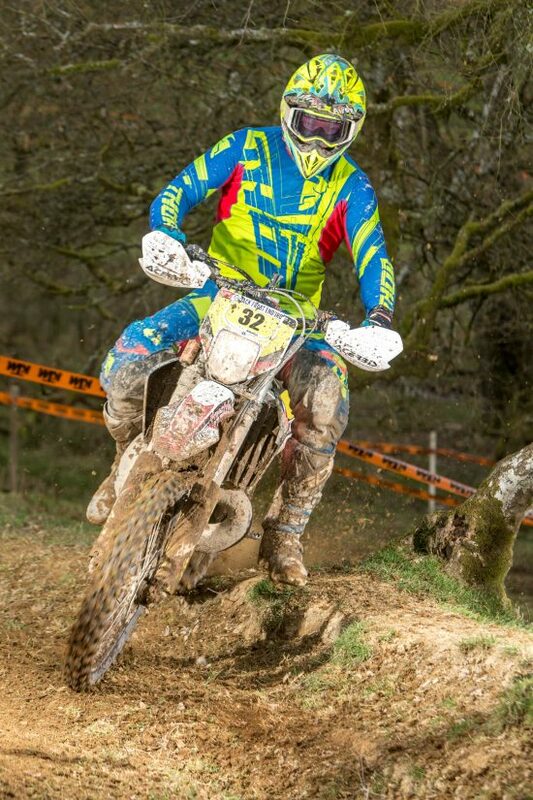 The over 50’s class saw Llanwrda’s Phil Georgeclaim maximum points for the second time this year on a KTM 300 and lead the class, whileSteve Davies from Kington, did the same, claiming 17 points on both rounds on a Husqvarna 250. 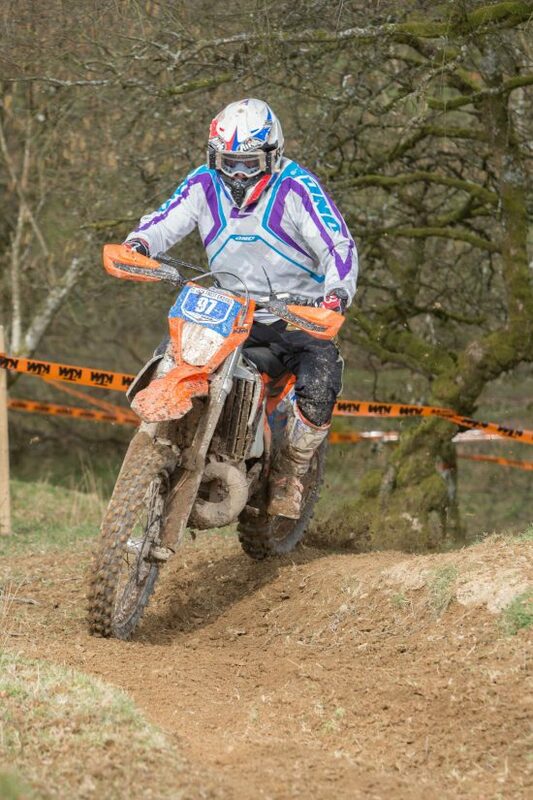 Gareth Davies, Lampeter, remains third in the class on a KTM. New to the championship this year is a Under 19’s class aimed at promoting youngsters into the sport. Matthew Harries, Ciliau Aeron, took the maximum 20 points riding his ET James KTM 125 but more impressively he won the Clubman class as well but can not claim the points in that class due to his age. Jac George, Llanwrda, also on a KTM 125 took the runners up 17 points and finished 3rd overall in the Clubman Class but again with an age restriction could only claim the points in the U 19’s class. 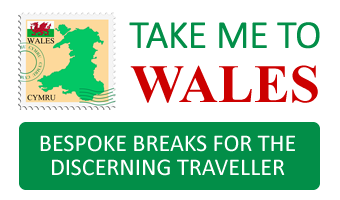 Ben Williams from Brecon would claim the 15 points for third riding a Beta 125. The next round of the championship will be the Drovers Enduro in two weeks time in the Crychan Forest above Llandovery before the DDBC hold the very popular Caio Enduro in the Caio Forest near Lampeter.